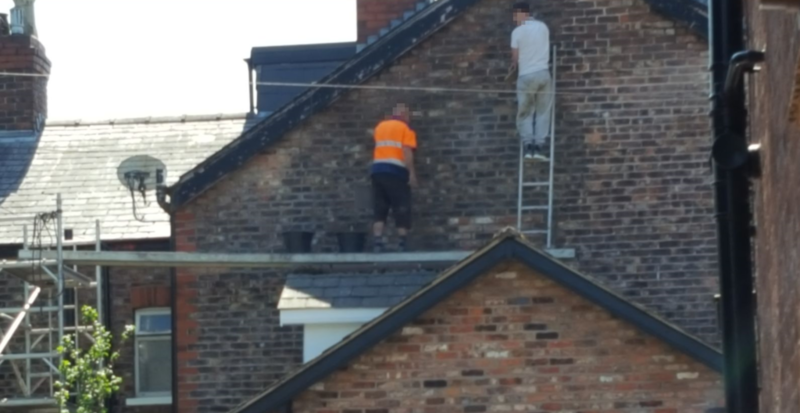 A SALFORD building contractor has been sentenced after exposing workers to danger of falls from height and exposure to silica dust. Kenneth Morris, trading as K & M Pointing of Basten Close, Salford pleaded guilty to breaches of Section 3 (1) And Section 2 (1) of the Health and Safety at Work etc. Act 1974 and Section 1 (1) of the Employers Liability (Compulsory Insurance) Act 1969 and has received a 26 week prison sentence suspended for two years, 180 hours community service and ordered to pay £2,000 in costs.